last Friday the CoL teachers had the opportunity to present their inquiries to leaders and educators within Manaiakalani at the annual Manaiakalani hui. It was a great opportunity to discuss our inquiries with other educators and to hear their own thoughts and opinions. It was through one of these discussions with Fiona Grant that I realised part of my inquiry is about merging non-digital and digital learning to provide better out comes for my kids. Until that point I hadn't connected the dots. This term my maths class has been studying measurement. This lesson involved the children estimating and measuring distances then comparing the difference between them. It aligns with my CoL inquiry as it has a hands on/materials and a create element to the lesson. Being a hands on and a create based task made for high student engagement which was great to see. Unfortunately high engagement doesn't always mean learning. 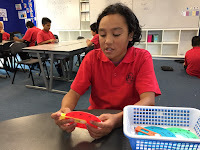 One challenge I find with create activities is the children get so caught up in the create aspect of the task and neglect the actual content of what they are creating. Often leading to videos with mathematical examples that are not accurate or clear. This was a Google Class OnAir episode. 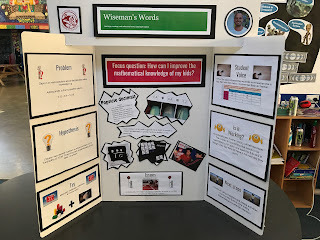 For a full lesson plan, reflection and examples of the children completed activities please go here. 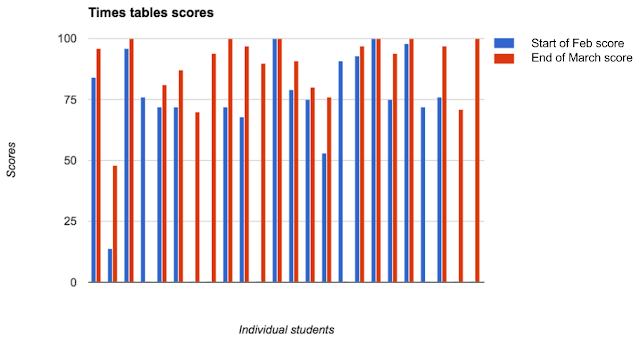 Initially I didn't have a target group for my COL inquiry into raising the achievement levels of my kids in maths. I was looking at my whole maths class as a target group. However, as I'm sure many of you would agree, this was a very ambitious (maybe even dumb) move on my behalf. I have found targeting the whole class makes it very difficult to track any progress which in turn makes it tricky to know if what I am doing is worthwhile/effective or not. With this in mind I now have a target group for my inquiry. These children are below where they should be and also happen to be my maths target group. 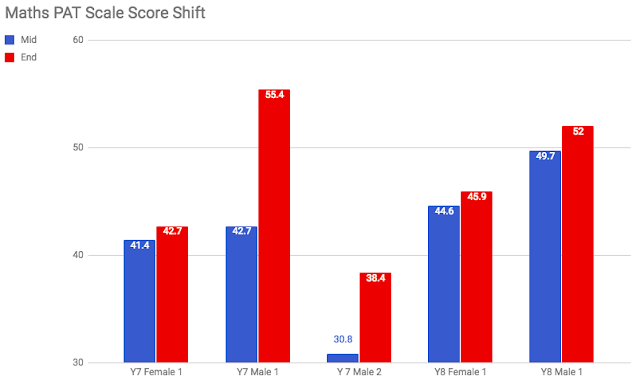 Below is a table of their data. I will be working with and tracking these beautiful's achievement over the next two terms. It has been so great to see my kids develop their decimal place value knowledge (and fraction knowledge) by using materials. 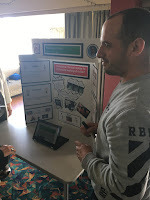 This has concretised it for them and helped them connect with the knowledge. 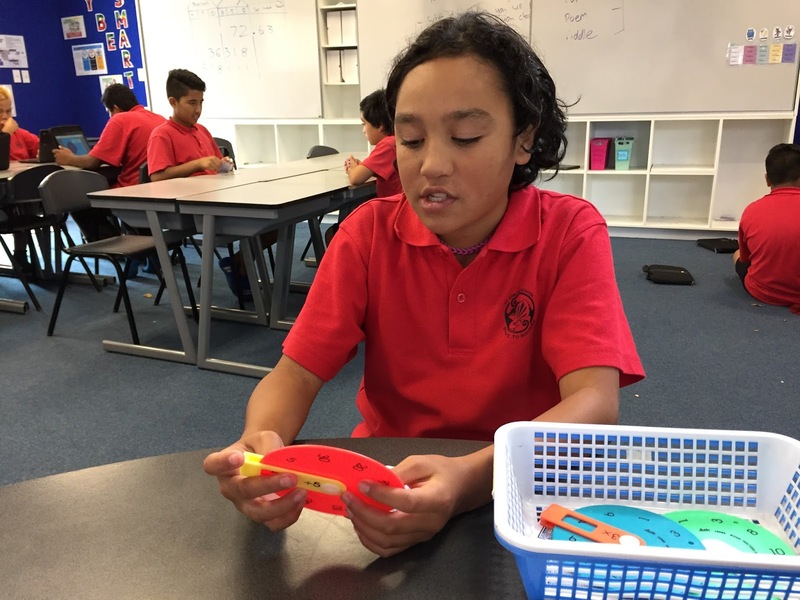 Having had success with this I thought great they've got it and I gave them an activity that would see them solving addition and subtraction problems that includes tenths and hundredths...without using materials. This was an epic fail on my behalf. In my excitement I jumped from using materials straight to using number properties totally by passing imaging. As you can imagine the kids found this too hard (although some managed). We ended up working through the problems altogether in their group in order to complete it. I learnt a valuable lesson. Wishing and hoping my kids will get something doesn't work. I need scaffold the next steps more effectively in order to get further growth. Lesson learned. Back in June I initiated Book Da Teacher. This is a system where the children can book in time with me one on one or in groups of up to three to work through something they are struggling with or want help with. 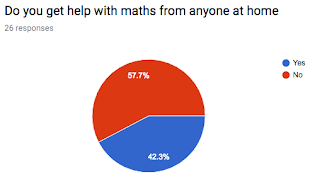 This came about after data I received from a student survey that indicated the children would like more time with me to help them with their maths. Initially Book Da Teacher got off to a rocky start as none of the children booked in. After some clarification about it soon a trickle of booking started coming through. However, now in Term 3, one and half months on Book Da Teacher is still struggling to take off. Week two, term three and I have no bookings despite my best efforts to remind the children about it. This makes me think that maybe the data was wrong and the children don't really want more teacher time or I need to scaffold the system more so the children feel confident about using it. I suspect the latter is more likely. Going forward I will be endeavouring to scaffold Book Da Teacher discussing it daily with the children and booking them in myself. My hope is that this will get the ball rolling. If you have any ideas please let me know. 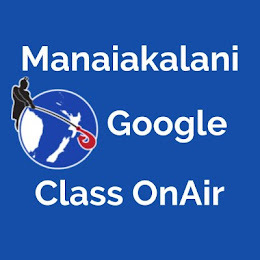 This is my latest Manaiakalani Google Class OnAir episode. Recently my class have been focussing on learning the time tables. 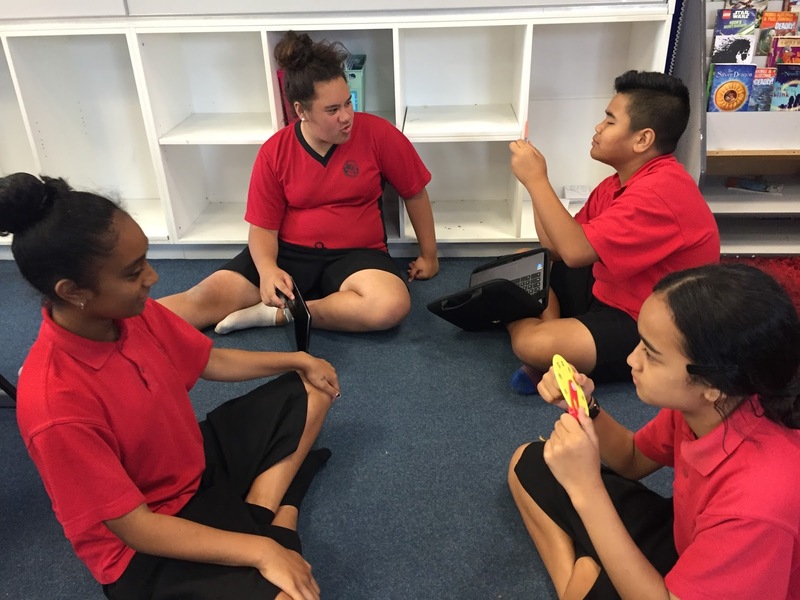 This task was designed to consolidate their learning of recent weeks. 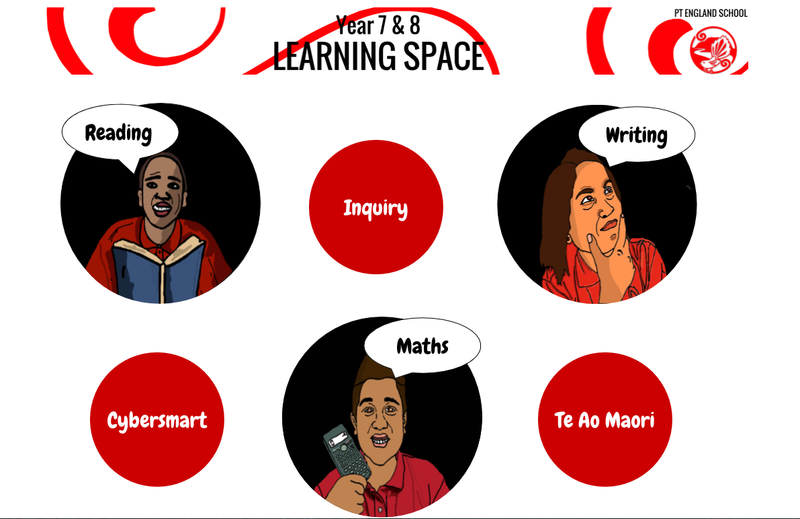 Visit my Google Class OnAir site for the lesson plan, reflection and examples of the children's work. The learning intention for this was to create a rap, song or poem and to participate 100% as a member of a group. The start of the video shows the whole class introduction of the task and then moves into a small group session where the children check in with me. At the 4 minutes you see some of the children reflecting on the task. This lesson/task came about after the class had been making a conscious effort to learn the times tables over a number of weeks. 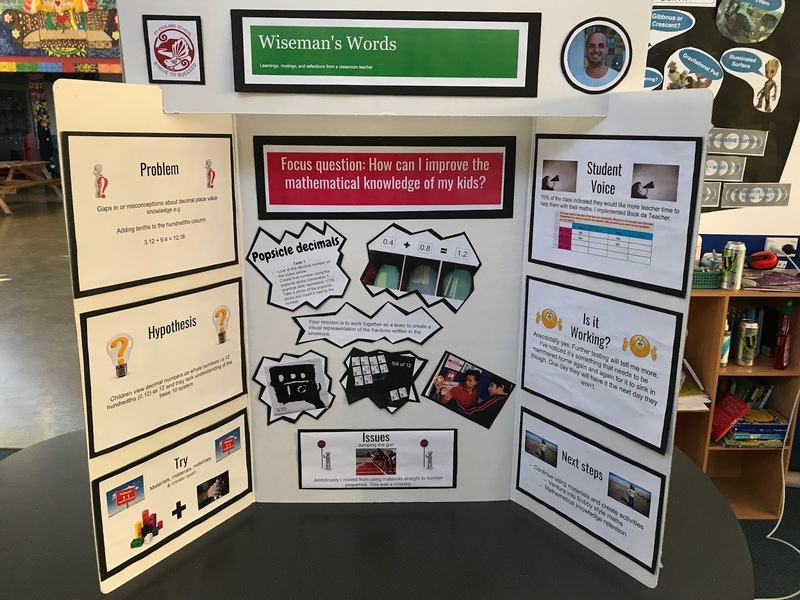 To increase my kids times table knowledge I have included a basic facts station into the maths program. The goal was to make this station engaging and 100% child monitored as the children would be working at this station while I was working with a small group. This task has the children testing each other on a times table they find challenging. 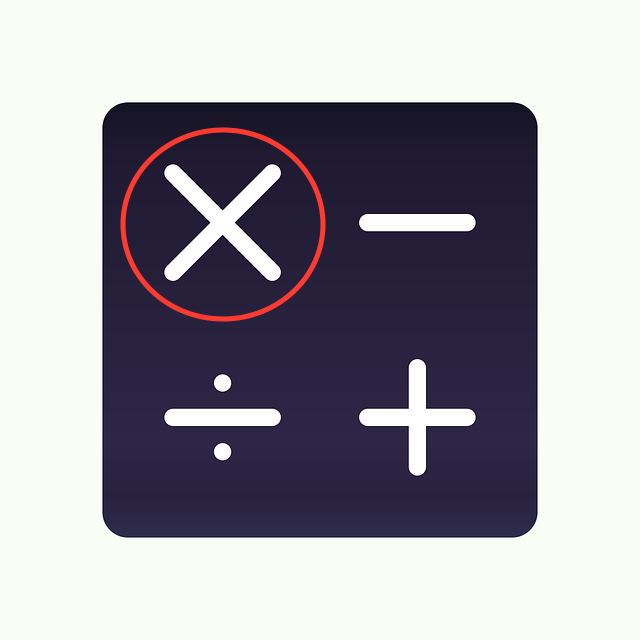 If they get one wrong they have to find out the correct answer and say it 5 times e.g "6 x 8 = 48, 6 x 8 = 48..."
This task can also be done without a partner. Children start with the same amount of cards. At the same time each child turns over a card. The goal is to be the first of the pair to correctly multiply the two cards together. The winner takes the cards. The person who gets all the cards is the winner. This game is works well particularly for the children who know most of the 1 - 10 times tables as the packs of card they use go up to 13. These children are encouraged to select cards that included 6, 7, 8, 9, 12 and 13. 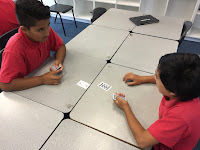 I have 3 children who really struggle with times tables so these students add the numbers on the cards. To keep the children engaged I will be changing the various activities up during the term. While the children are engaged I have yet to test them to see if this station is having any effect on their achievement. This will be happening soon so watch this space.